Often, when we think or talk about school safety, we’re only considering how to protect students and staff during normal school hours. However, schools are used for much more than just the day-to-day learning that goes on there. Sports, clubs and community activities can all take place outside of normal school hours but still on or around school grounds. These off-hour activities often have fewer resources available to assist with safety needs, leaving it up to chaperones, coaches, and other school officials to keep participants protected. Without proper planning and training, this can leave schools and students vulnerable to unexpected threats. Campus Safety Magazine recently hosted a webinar with Stephen Lopez, chief of police for New Mexico State University, who provided best practices K12 schools and districts can implement for extra-curricular activity safety. 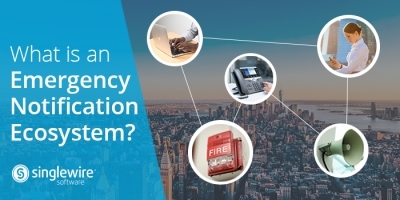 In this blog post, we’ll provide a summary of the tips offered by Lopez and insight into how an emergency notification system can help with extra-curricular safety. It’s important to start by understanding all of the extra-curricular activities that take place in your school. Sports, clubs, theater, band and other groups may all be using school facilities outside of normal school hours. The more activities going on at the school, the more safety challenges there are. Outside of school hours, there may only be one person in charge of the safety for a large group of students like a coach or teacher representative that manages a club. Certain events like dances or games may bring in people who are unfamiliar with your facilities and may bring larger crowds than originally anticipated. All of these factors will impact the planning and executing of your safety strategy. 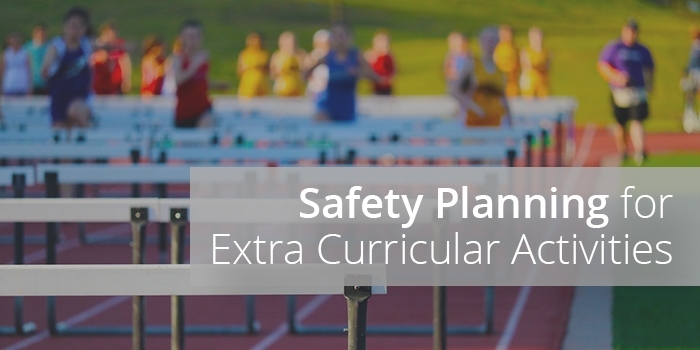 Schools have many components to consider when developing a safety plan for extra-curricular activities. In addition to understanding the activities that take place on school grounds, schools need to consider where on the grounds those activities take place. Activities that take place outside require different safety plans than those that take place indoors. Activities that place in a gymnasium may require different plans than those taking place in a theater or classroom. The location of the activity can help schools coordinate safety plans among similar groups, which will reduce the need to develop individual plans for each group or team. Planning is going to involve asking critical questions to help inform what people are going to need to do in the event of an emergency. Once people are made aware of a situation, they need to know where to go. Again, this answer is going to be different depending on whether an activity is taking place inside or outside. If the activity takes place after hours, people may encounter locked doors or gates that prevent them from going to other parts of a building. If an emergency requires an evacuation and people need to leave, is there somewhere else that will be open where they can gather? Schools should also take stock of what kind of support resources they will have available during the event. It can be helpful to augment the team leading an event so the burden of safety does not fall on a single person. Parents, teachers and booster club members can all be solicited to assist with safety and crowd management for events. Set safety expectations at the beginning of season or during the first meeting or a club or group. Students, staff and parents should have a clear idea about what should be done in the event of an injury, inclement weather, or other emergency. Identify potential hazards and who is in charge should something go wrong. Reminders and check-ins should occur on a regular basis as people may forget what was outlined during an initial meeting, and checklists should be provided to ensure nothing is missed. Facilities that are used for extra-curricular activities should have trained crowd managers. This does not need to be their only function at an event, but they should be available to assist if called upon. Coaches and group leaders, judges and officials, athletic trainers and medical staff, as well as parents and boosters can all provide support if they are given the proper training. Be sure to check the event space inside and out before the event begins. Brief the safety team and other officials about safety plans and understand what kind of communication tools will be available if warnings need to be relayed. Before an event starts, all personnel should be in place and ready before the general public is allowed to enter. Following these tips will help your school have a thorough safety plan for extra-curricular activities. 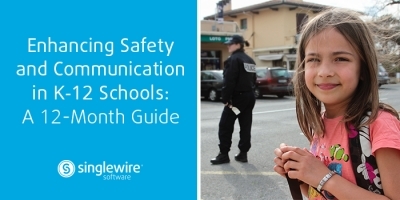 Any good safety plan relies on strong communication, and tools like mass notification systems can help facilitate easier communication to large groups of people. A robust mass notification system will tie into many of the devices a school already has, like IP speakers, IP phones, digital signage, desktop computers, and mobile phones. 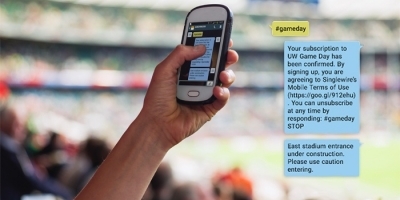 For events that are likely to involve people not typically on school grounds, posting sings that provide a number visitors can text to receive safety alerts, will help keep everyone informed. Indoor events like sports games can leverage IP speakers and digital signage to share audio and text announcement is a simple and effective way. Outdoor events, like track meets and cross country events, may need rely on loud outdoor speakers and the mobile alert strategy previously mentioned. Having the right tools and the right plan will go a long way to keeping students, staff, and visitors safe and informed when on school grounds during extra-curricular events.